I agree to release Lee Carroll, Kryon, Maria Carr, Allayne Clark, K. Banks Travel, OK In Health, Rosie O’Toole, Jane Donald and Monika Muranyi from all responsibility and liability for unforeseen circumstances and/or changes in the schedule due to weather or circumstances in Ireland or Home city, PERSONAL physical or mental illness, or any unforeseen events occurring during tour dates. I understand and agree to the REGISTRATION and PAYMENT POLICIES and understand and agree to all the above information. I agree that it is my responsibility to pay for any extra hotel nights, meals not specified, any roaming cell phone charges, gratuities/tips, extra hotel charges to room etc. I agree that it is my responsibility to purchase out of country medical insurance coverage and if I need to visit the E.R. that there may be an admin charge from Hospital of 100 - 250 Euros. It is my responsibility to make sure my luggage is handed to bus driver. My suitcase is no larger than a medium suitcase size and I do not have an extra carry-on suitcase, only a day pack. I understand it maybe declined by the drive. I understand my credit card will be charged now for the deposit, followed by the full balance being automatically charged on the final payment February 8th, 2017. I agree that it is my responsibility to purchase travel medical and cancellation insurance as there are no refunds from K. Banks Travel, Lee Carroll, Kryon or Maria Carr once monies are paid. (Any possible refunds are only available by purchasing the "trip cancellation” insurance under the conditions on your policy). Please discuss details with K.Banks Travel. The 2016 Kryon Ireland tour sold out very quickly, so we recommend booking now to avoid disappointment as this tour is expected to sell out soon. * US Dollar amounts are best estimates dues to varying exchange rates. to ensure you make the right connections as we will be dealing with some regional airports. The travel agency info will be given to you after you fill out the registration form. All tour payments are made through our registered and bond travel agency Banks Travel. To register please click the below button and submit the form. For additional help, please use the below email. 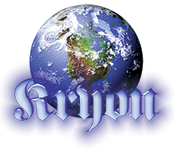 SUBJECT: "Kryon Ireland tour 2"
This is going to be a marvelous fun adventure. The last accommodation included in the tour is the evening of DAY NINE - April 29. Check out is at 11am on April 30. This can be extended if desired, at extra cost. The KRYON DUBLIN SEMINAR IS INCLUDED on APRIL 30.